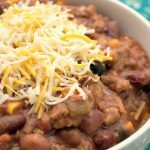 This recipe for Crock-Pot Three Bean Taco Chili was a super big hit with the family who gobbled it up. It has all the warm hearty goodness that you expect in a chili but the taco flavorings add a little something extra I think. I served with a side of corn bread but the kids thought that we needed tortilla chips to go with it. Next time I make this recipe I will definitely do the tortilla chips (and maybe some extra taco topping likes sour cream. But as the recipe stands it is a solid winner and is definitely a recipe I am making again and again! 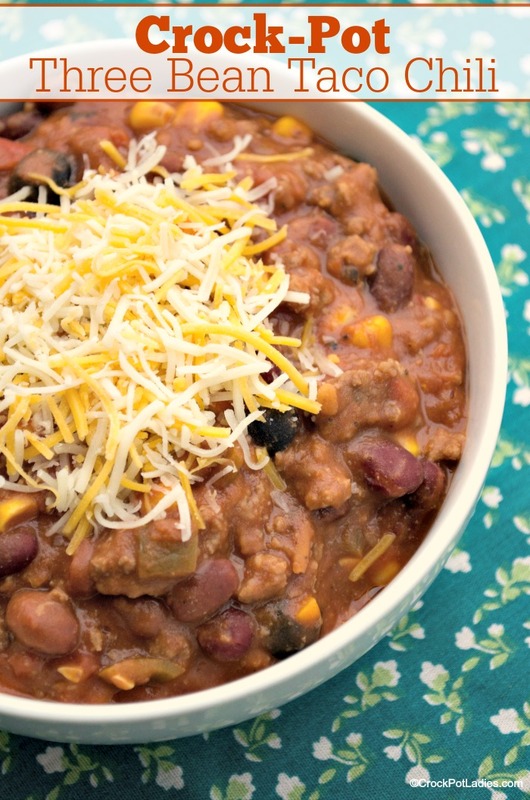 Chili and tacos combine in this fantastic taco chili with three different kinds of beans! 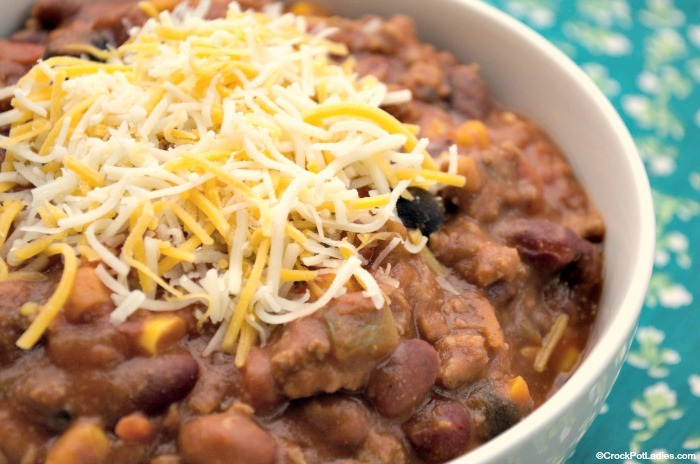 Top your bowls of chili with your favorite cheese, sour cream, or other toppings and serve with cornbread for a dinner that everyone will love. In a large skillet brown the ground beef along with the diced onion, crumbling the beef as you cook it, until the beef is no longer pink. Drain and rinse the beef and pour into a 6 quart or larger slow cooker. Cover and cook on low 6-8 hours or on high 4-5 hours. Serve with your favorite chili/taco toppings such as shredded cheese, sour cream, etc. 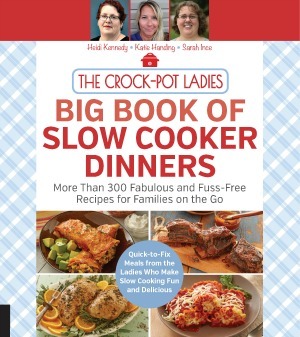 I think I’m going to have to buy a bigger crock pot just for this recipe. YUMMMM! Can I substitute corn for something? My husband is allergic! What would be a good suggestion? Yes. or just leave it out. As Katie mentioned you could just leave out the corn or you might try adding in some additional beans. Either way I am sure it will turn out great! Just wondering if I can use a 5 quart crock pot for the Three Bean Taco Chili recipe. I don’t have a 6 quart. I have never rinsed cooked beef before. What is the purpose? Good question Rebecca, I was always taught to rinse your ground beef after you cook it with hot tap water. It just removes all the extra fat that cooks off. But I have heard that not everyone does this. It would be OK to just drain off the fat too. But, like I said rinsing it gets more of the fat off than draining. I hate a greasy dish.